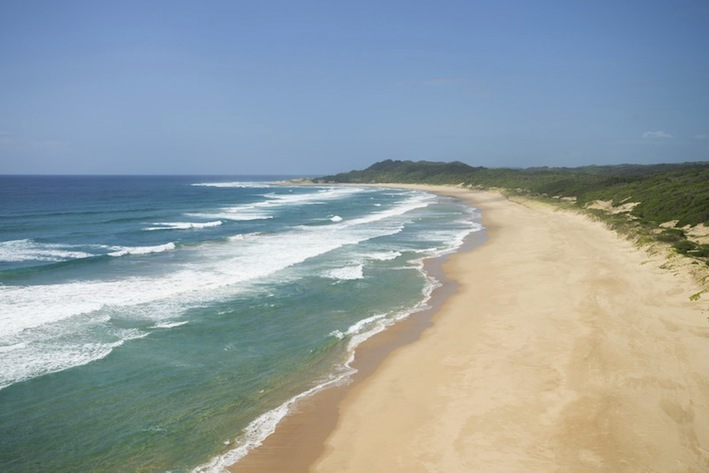 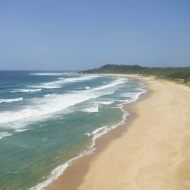 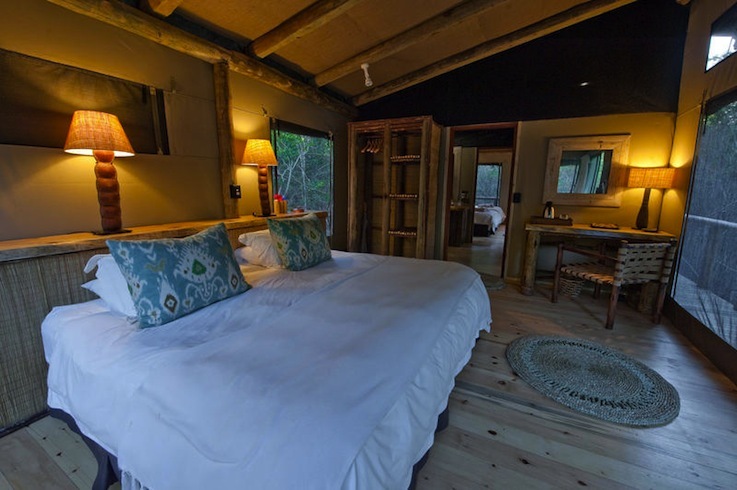 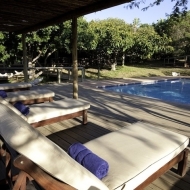 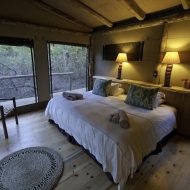 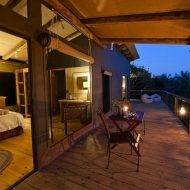 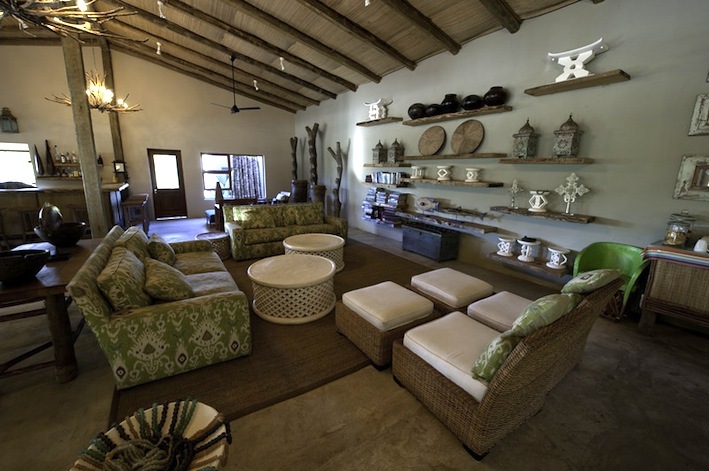 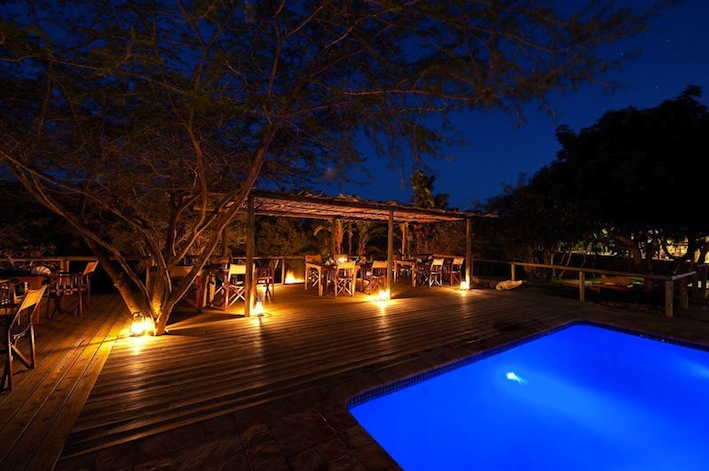 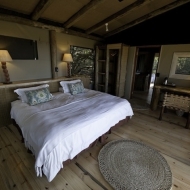 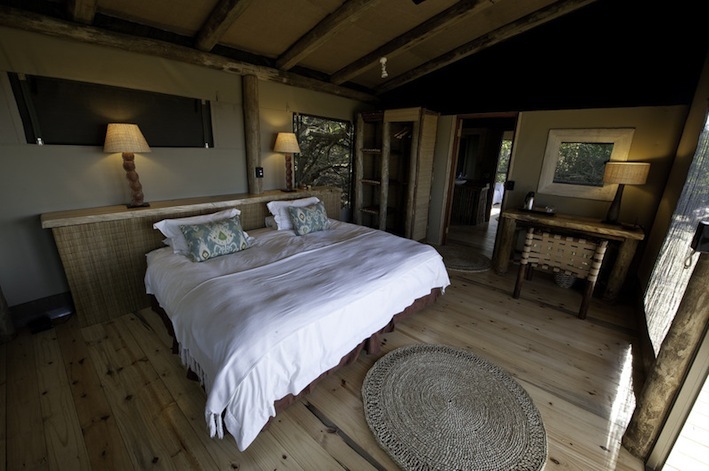 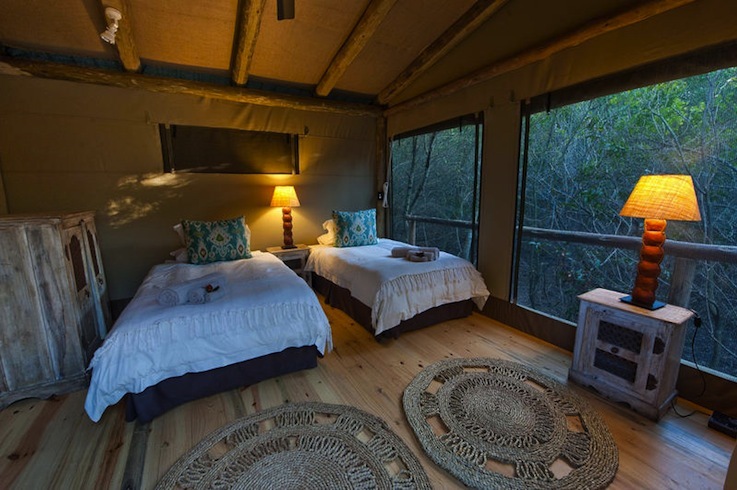 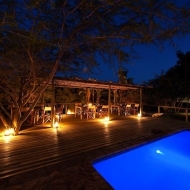 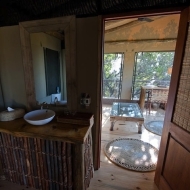 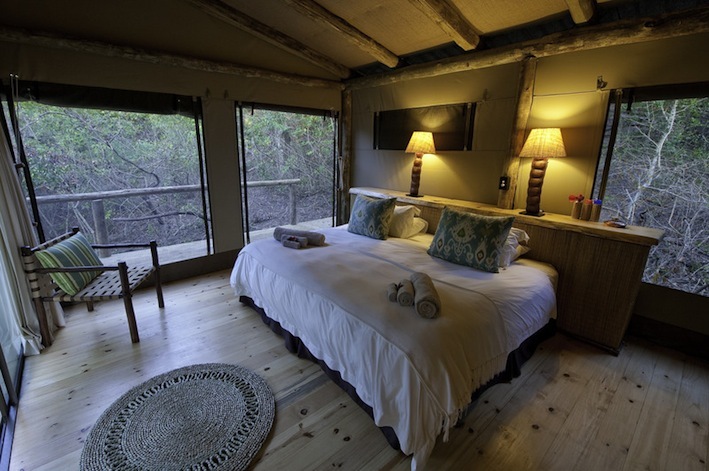 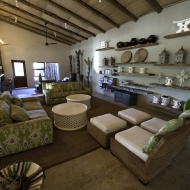 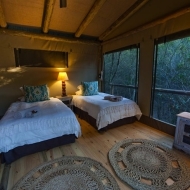 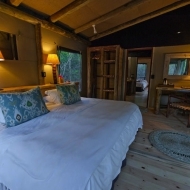 This lovely lodge is situated in Northern KwaZulu-Natal, in the Maputaland Coastal Forest. 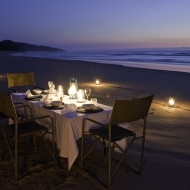 The unspoiled beach is a 15 minutes walk away from the camp through the lush dune forest. 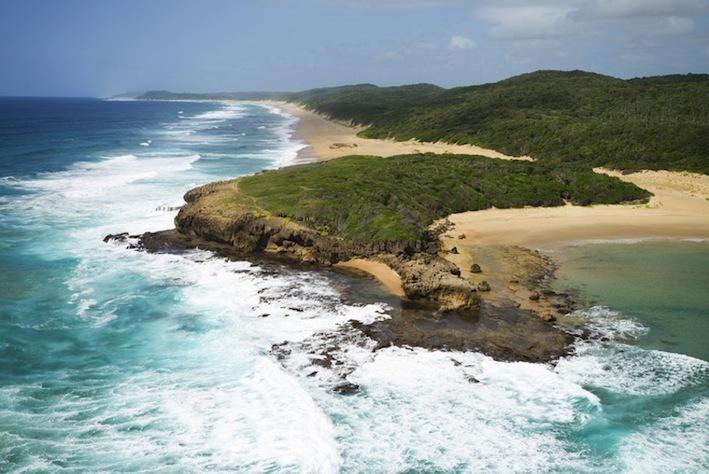 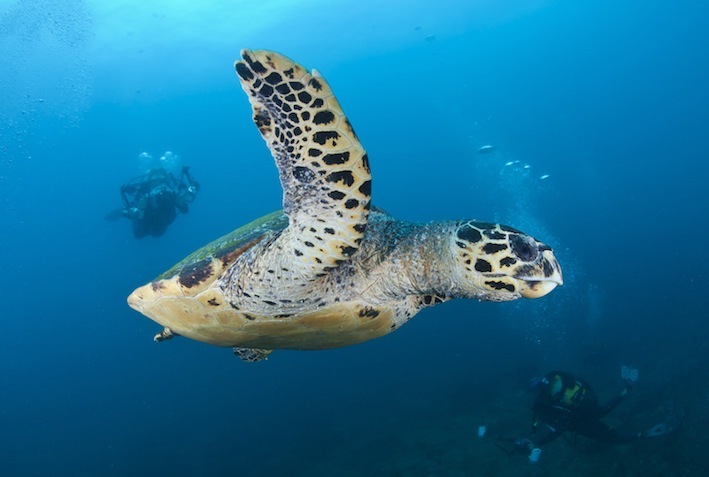 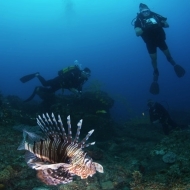 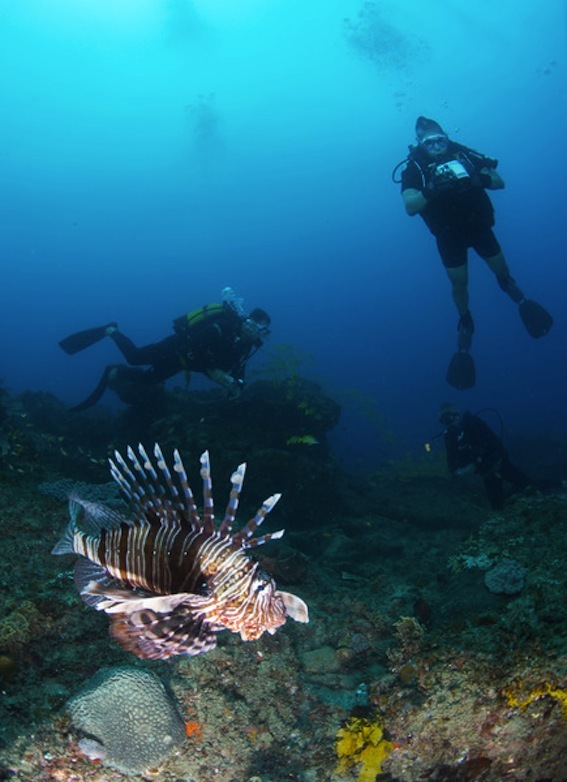 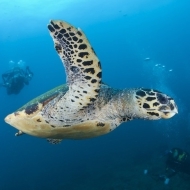 A wonderful place to scuba dive and snorkel as the diving is within a reserve and world heritage site along unspoiled reefs and divers are the only ones to have access to it on this stretch of coastline. 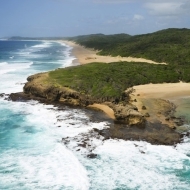 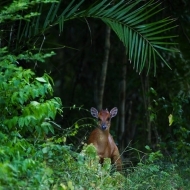 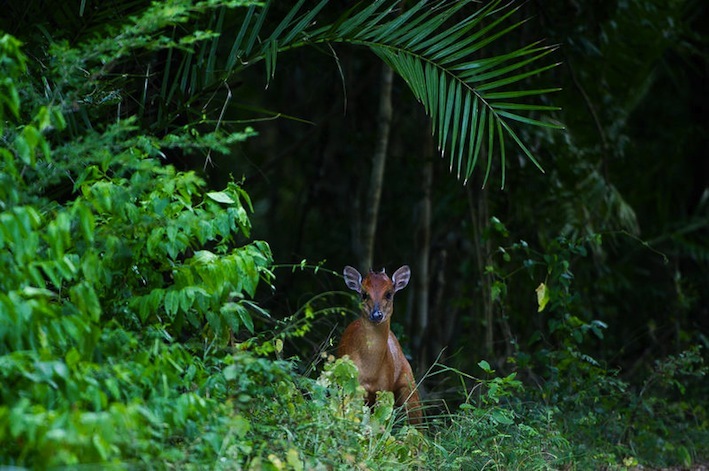 Other adventures include birding, swimming and walking in the forest and along remote beaches. 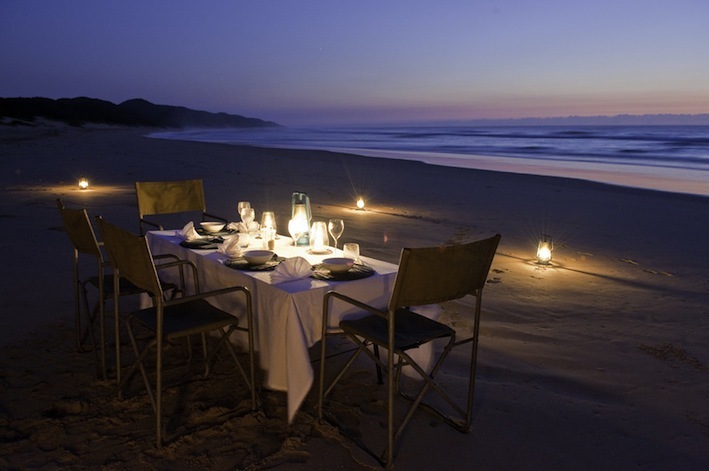 During summer guests can accompany nightly research drives to monitor turtle nesting numbers and behavior. 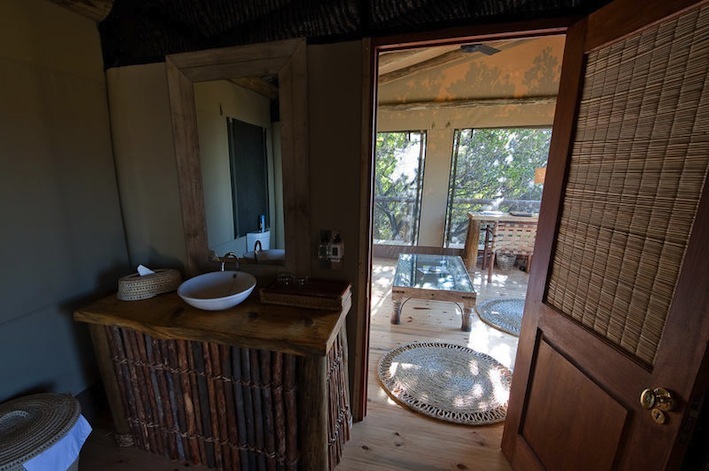 All rooms have en-suite bathrooms, open-feel indoor showers and overhead fans. 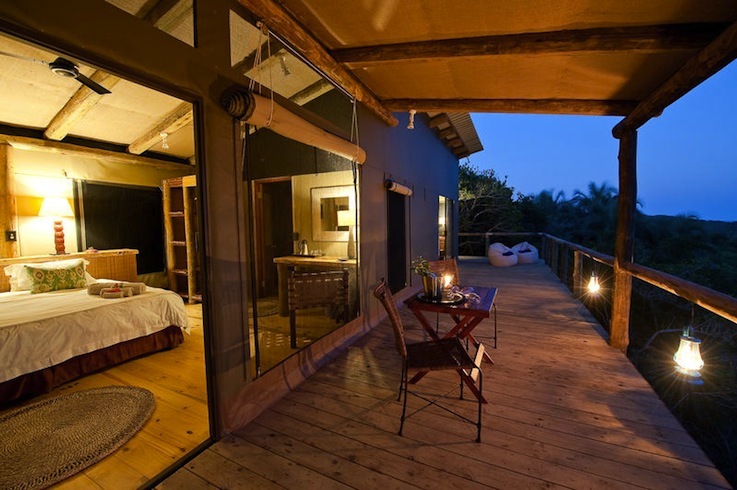 Seven of the rooms are family units (two bedroom for two adults and two children and shared bathroom). 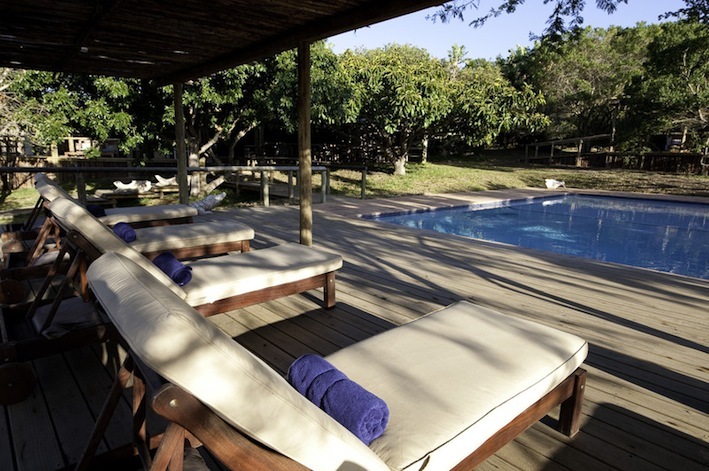 The central dining and lounge area have a large wrap around veranda and a raised deck where the ocean can be glimpsed over the forest; a large pool and children’s playroom complete the main area.